Home » Basic G » Basic H2 » Moms get clean » nature bright » Scour off » What does it look like under your sink? How many cleaning products do you have under your sink? 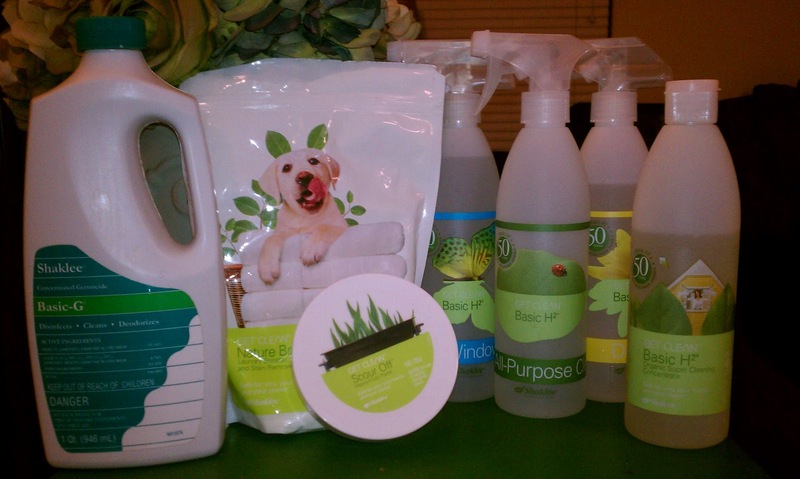 There are products for just about every task and every surface in most households! Do you want to save time cleaning, save thousands of dollars and save space in your cabinets?? This is a photo from a recent, “Moms Go Green and Get Clean” Get Rid of Chemicals Overhaul!! All of these toxic chemical cleaners were tossed out (responsibly of course since it is considered hazardous waste!) and replaced with only FOUR products! AFTER THE CHEMICAL PRODUCTS WERE REPLACED WITH GET CLEAN! All of the products above were replaced with these four products (plus 3 refillable spray bottles that are filled by the Basic H2 concentrate!). That’s the power of Get Clean and the power of using one product for many jobs and multiple surfaces. And you won’t have to sacrifice powerful cleaners because Shaklee’s Get Clean products are AMAZING! They outperform or match 20 National brands that you are probably already using! I can’t think of one objective of not Getting Clean in your own home… and don’t say it’s money because you can’t tell me of a product that is less than a penny for window and mirror cleaner and less than 3 cents for all-purpose cleaner. I promise, Go Green and Get Clean and you will NEVER go back! I promise you will love them, completely fall in love with them!! or your money back! !